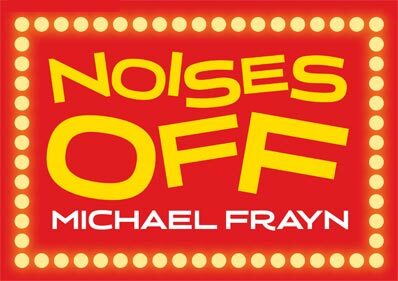 Jonathan Coy, Janie Dee, Robert Glenister, Jamie Glover, Celia Imrie, Karl Johnson, Aisling Loftus, Amy Nuttall and Paul Ready have been cast in Michael Frayn’s irresistible, multi-award-winning backstage comedy Noises Off, directed by Linsday Posner, which previews from 3 December, with a press night on 13 December 2011. Winner of both Olivier and Tony Awards for Best Comedy, this celebrated play serves up a riotous double bill - a play within a play. Hurtling along at breakneck speed it follows the backstage antics of a touring theatre company as they stumble their way through rehearsals to a shambolic first night and a final disastrous performance. Jonathan Coy plays Frederick Fellowes who plays Phillip Bent and the Sheikh. Jonathan has worked extensively in theatre, and played Leonato in the recent and much-acclaimed production of Much Ado About Nothing with David Tennant and Catherine Tate. Other work on stage includes A Month in the Country at Chichester Festival Theatre, and at the National Theatre, The Power of Yes and Democracy which was directed by Michael Blakemore. Television credits include Downton Abbey, Foyle’s War, Doc Martin and the BBC/HBO series, Rome. Janie Dee plays Belinda Blair who plays Flavia Bent. Janie is an award-winning theatre and musical theatre actress who recently appeared in All’s Well That Ends Well at Shakespeare’s Globe. Her work on stage has earned her the Olivier Award for Best Supporting Actress in a Musical for Carousel, directed by Nicholas Hytner at the National Theatre, and the Olivier, Evening Standard and Critics’ Circle Best Actress Awards for the lead role in Comic Potential in the West End and on Broadway. She has worked extensively with writer and director Alan Ayckbourn, originating the roles of Joanna in House and Garden, and Amanda in Dreams From a Summerhouse, and Peter Hall has directed Janie in Much Ado About Nothing, Betrayal and Design For Living. Television credits include Me and Orson Welles, and Harold Pinter: A Celebration. Robert Glenister plays the director of ‘Nothing On’, Lloyd Dallas. Robert is perhaps best known as Ash Morgan in the BBC TV series Hustle, and as the Home Secretary in Spooks. His many other TV credits include Appropriate Adult, Ruby in the Smoke and A Touch of Frost, and on film Robert’s work includes Secret Rapture and Laissez Passer. On stage, Robert has performed regularly at the Manchester Royal Exchange including Uncle Vanya, The Voysey Inheritance and An Ideal Husband, and with the Royal Shakespeare Company, Robert’s credits include Measure for Measure, Little Eyolf and The Tempest. Work at the National Theatre includes Blue Remembered Hills and Never So Good. Jamie Glover plays Roger Tramplemain who plays Roger. Jamie has worked extensively in the theatre with credits including The Chalk Garden at the Donmar, Henry V for Edwards Hall’s Propeller, The Man Who Had All the Luck at Sheffield Crucible, and for the Royal Shakespeare Company, All’s Well That Ends Well, Edward III and The Roman Actor. Jamie played Deputy Head, Andrew Treneman in the BBC school-based series, Waterloo Road and other television credits include New Tricks and Elizabeth I.
Celia Imrie plays Dotty Otley who plays Mrs Clackett, the Bent’s housekeeper. Celia is perhaps best known for her regular characters in the award-winning TV series Acorn Antiques and Dinnerladies, and also in Absolutely Fabulous. Most recently on stage in Drama At Inish at The Finborough. Hay fever at the Rose Theatre, Acorn Antiques – The Musical, directed by Trevor Nunn, and Habeas Corpus at the Donmar, directed by Sam Mendes. Her many screen credits include Calendar Girls, Hilary and Jackie, Nanny McPhee, Wah Wah, Aunt Una Alconbury in the Bridget Jones films, and Matron in the two recent St. Trinian’s films. She recently completed filming Julian Fellowes’ Titanic series for the BBC, and will soon be seen on the big screen in The Best Exotic Marigold Hotel. Karl Johnson plays Selsdon Mowbray who plays the Burglar. Karl has worked extensively at the National Theatre with recent credits including Frankenstein, directed by Danny Boyle, and The Seafarer directed by Conor McPherson. Work at the Royal Court Theatre includes This Is A Chair, The Night Heron and The Weir. Karl’s television credits include Lark Rise To Candleford, The Rise and Fall of Rome and The Trial of Tony Blair. Karl’s work on screen includes the lead in the BAFTA-winning film Close My Eyes by Stephen Poliakoff, three films with Derek Jarman – Wittgenstein, Jubilee and The Tempest, and Stephen Frears’ Prick Up Your Ears. Aisling Loftus plays Assistant Stage Manager, Poppy Norton-Taylor. Aisling is probably best known for her leading role in the critically-acclaimed BBC TV drama, Dive, and she will soon be seen as Arietty opposite Stephen Fry and Victoria Wood in the BBC’s much anticipated new adaptation of The Borrowers at Christmas. Her work on stage includes Anya Reiss’ award-winning Spur of the Moment at the Royal Court Theatre. Film credits include This is England and the short Jade which won the Silver Bear at the Berlin Film Festival. Amy Nuttall plays Brooke Ashton who plays Vicki. Amy can currently be seen on TV in ITV’s Downton Abbey and her previous television credits include Hotel Babylon and Emmerdale. She most recently played Stella in A Streetcar Named Desire and Emily in The Hired Man and at The Bolton Octagon, both directed by David Thacker. Her other stage credits include Eliza Doolittle in the UK tour of My Fair Lady; Guys and Dolls opposite Patrick Swayze and Don Johnson; Boeing, Boeing directed by Matthew Warchus and Cabaret alongside Alistair McGowan. Paul Ready plays Tim Allgood, the Stage Manager who understudies Selsdon and Frederick. Paul is primarily known for his work on stage, receiving an Ian Charleson Award commendation for The Comedy of Errors at Bristol Old Vic. His many credits at the National Theatre include Time and the Conways, Major Barbara and London Assurance, at the Royal Court Theatre work includes Wastwater directed by Katie Mitchell, and he was in the West End production of One Flew Over the Cuckoo’s Nest with Christian Slater. Screen credits include Private Peaceful and Pierrepoint, and on television, Silk and Doc Martin. For more information regarding Premium Seats please call the box office. 100 x £12 tickets for all performances. Bookable in advance for the under 25s but tickets must be collected in person from the Box Office with proof of age. All concessions are limited and subject to availability. All 2011/12 ticket prices (apart from the Aditya Mittal tickets for Under 25s, local residents & schools tickets) include a £1 restoration levy.